You can find all the files uploaded by your site members in the Media sectioin in the admin panel (/admin/media/index/). This is how you can manage the uploads: mark and unmark them as adult content, delete them, and view the owner’s name and privacy settings. 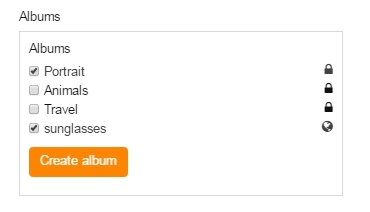 Site members can create their own albums for uploads or choose the default albums created by administrator.